Ford’s electric revolution is about to officially kick off with the reveal of its still unnamed, Mustang-inspired pure EV SUV. A precise date for that revelation has not yet been announced, but it’s due sometime in 2020. Meanwhile, the automaker purposely let slip the vehicle’s all-electric driving range. This was announced at the European reveal of its new Explorer plug-in hybrid and the Escape plug-in, which is sold as the Kuga overseas. "Ford’s Mustang-inspired all-electric performance SUV will arrive in 2020, with a pure-electric driving range of 600 km (more than 370 miles) calculated using the World Harmonized Light Vehicle Test Procedure (WLTP), and fast-charging capability,” the automaker said, via Inside EVs. However, several other media outlets reported this to be a 370-mile range in the US. That's not exactly how it works. 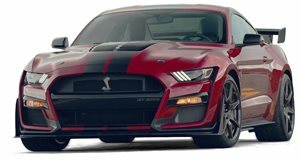 Ford spokesperson Mike Levine stated on Twitter the following: "It's not correct to automatically translate the estimated driving range for the upcoming Mustang-inspired all-electric performance utility from WLTP (targeted 370 miles) in Europe to EPA in the US (targeted 300 miles). Ford trolled Tesla on Twitter during the lead up to the Model Y’s debut with a fairly direct message: "Hold your horses.” Now we understand why. This new EV SUV will also be Ford’s first fully dedicated EV, as opposed to the soon to be discontinued Focus EV and Fusion Energi. Both were adapted for electrification from existing platforms that weren’t EV-exclusive. Neither received bad reviews but they weren’t exactly exciting. 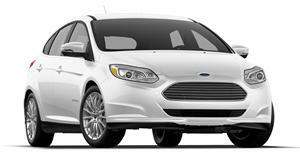 Tesla has proved EVs can be and Ford is preparing to respond in kind. Now that the all-new Explorer and Escape have been revealed, Ford will likely debut this EV next. Our best guess will be at either Los Angeles in November or CES in early January. The 2020 Detroit Auto Show will take place in June rather than January, and we don’t think Ford will wait over a year from now to show its Model Y crusher. 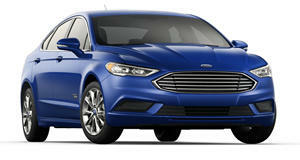 The Fusion isn't dead yet and still has plenty to offer.